DJ Bookings & enquiries: samuel@rumwood.co.uk Full biography: Originally hailing from Glastonbury, UK and nurtured on a strict diet of mixtapes, raving in fields and doodling in school books, producer, DJ and visual artist, Alex Eveson aka Dead Man's Chest, has been making his journey through the deeper spectrums of drum & bass / jungle since the mid 2000's. After initially breaking into the scene as a designer (with artwork for labels such as Metalheadz/Exit Records), Eveson’s music soon became the centre of attention after Fabio debuted a selection of early productions on his BBC Radio 1 show in the summer of 2006. 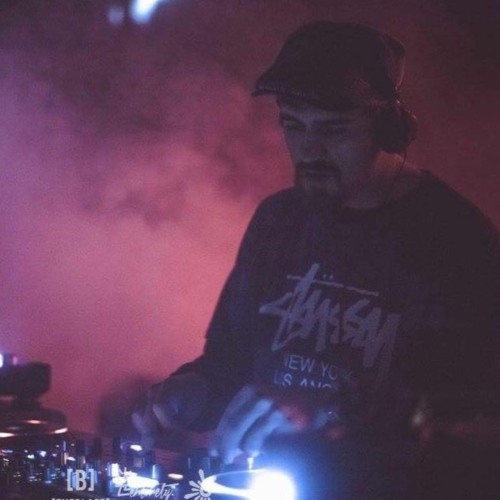 In the ensuing months, Eveson went from a little known name to one of the most featured Drum & Bass artists on UK airwaves, whilst his signature 'soulful and groove driven’ sound found it’s way into boxes of DJs from all corners of the scene, gaining support from Goldie, LTJ Bukem, Bryan Gee, Grooverider, Marky, Shy FX, dBridge, Calibre, Marcus Intalex, Doc Scott, Total Science & more... The next few years saw Eveson stacking up releases across a selection of the scene's most prominent labels from original pioneers Good Looking Records, 31 Records and Creative Source to new school taste makers Horizons, Critical and Shogun Ltd. In 2012, Eveson released his debut LP 'The Last Summer Of Love' on V Records, a genre bending album of influence and exploration. After a brief hiatus DJing in the French Alps, 2014 saw Eveson re-emerge as Dead Man's Chest (as a means to explore his original influence of early 90s rave tapes), producing a series of EPs for Ingredients Records that culminated in the 2016 release of the Trilogy Mixtape; a 90 minute collage of tripped out jungle revivalism. 2017 marked the latest chapter in Eveson/DMC's career; a slew of chart dominating records leading to 'Best Breakthrough Producer' nominations at both DJ Mag's 'Best Of British' & the 'We Love Jungle' awards, and the launch of Western Lore; a record label which serves as both channel for Eveson's musical and visual ideas, and a space for emerging artists to truly explore their unique style and individuality.